Grocery shopping is considered a critical and routine element of consumer behavior. Hence, numerous studies have been conducted to understand the factors influencing shoppers’ behavior. Employing a cross-sectional design, this paper aims at describing the shopping behavior of hypermarket consumers in Kuwait. Results show that nationality, payment options, and the day of the week are critical factors influencing consumers 'patronage intentions. Aldousari, A.A., Delafrooz, N., Ab Yajid, M.S. and Ahmed, Z.U., 2016. Determinants of consumers’ attitudes toward online shopping. Journal of Transnational Management, 21(4), pp.183-199. Andrews, R.L. and Currim, I.S., 2004. Behavioural differences between consumers attracted to shopping online versus traditional supermarkets: implications for enterprise design and marketing strategy. International Journal of Internet Marketing and Advertising, 1(1), pp.38-61. Aylott, R. and Mitchell, V.W., 1998. An exploratory study of grocery shopping stressors. 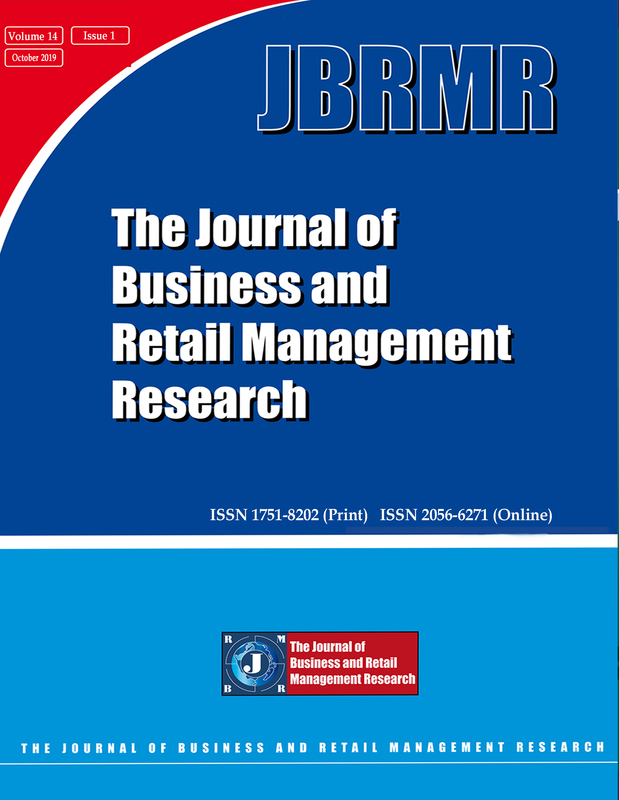 International Journal of Retail & Distribution Management, 26(9), pp.362-373. Baker, J., Parasuraman, A., Grewal, D. and Voss, G.B., 2002. The influence of multiple store environment cues on perceived merchandise value and patronage intentions. Journal of marketing, 66(2), pp.120-141. Barnes, S.J., Bauer, H.H., Neumann, M.M. and Huber, F., 2007. Segmenting cyberspace: a customer typology for the internet. European journal of marketing, 41(1/2), pp.71-93. Brengman, M., Geuens, M., Weijters, B., Smith, S.M. and Swinyard, W.R., 2005. Segmenting Internet shoppers based on their Web-usage-related lifestyle: a cross-cultural validation. Journal of Business Research, 58(1), pp.79-88. Capital Standards (2010), Industry Research: Kuwait Retail Industry, PP. 1-15. CalvoPorral, C. and Lévy-Mangin, J.P., 2015. Do Store Image and Price Perception Matter to Store Brand Equity?. Journal of Food Products Marketing, 21(1), pp.102-122. Chang, H.J., Cho, H.J., Turner, T., Gupta, M. and Watchravesringkan, K., 2015. Effects of store attributes on retail patronage behaviors: Evidence from activewear specialty stores. Journal of Fashion Marketing and Management, 19(2), pp.136-153. Cude, B.J. and Morganosky, M.A., 2000. Online Grocery Shopping: An Analysis of Current Opportunities and Future Potential. Consumer Interests Annual, 46, pp.95-100. Danaher, P.J., Wilson, I.W. and Davis, R.A., 2003. A comparison of online and offline consumer brand loyalty. Marketing Science, 22(4), pp.461-476. Degeratu, A.M., Rangaswamy, A. and Wu, J., 2000. Consumer choice behavior in online and traditional supermarkets: The effects of brand name, price, and other search attributes. International Journal of research in Marketing, 17(1), pp.55-78. Faloye, D.O., 2014. The adoption of e-commerce in small businesses: An empirical evidence from retail sector in Nigeria. Journal of Business and Retail Management Research, 8(2). Fayez, M. and Labib, A., 2016. Investigating the effect of the" big five" personality dimensions on compulsive buying behavior of Egyptian consumers. Journal of Business and Retail Management Research, 10(3). Fox, E.J., Montgomery, A.L. and Lodish, L.M., 2004. Consumer shopping and spending across retail formats. The Journal of Business, 77(S2), pp.S25-S60. French, S.A., Shimotsu, S.T., Wall, M. and Gerlach, A.F., 2008. Capturing the spectrum of household food and beverage purchasing behavior: a review. Journal of the American Dietetic Association, 108(12), pp.2051-2058. Grewal, D., Baker, J., Levy, M. and Voss, G.B., 2003. The effects of wait expectations and store atmosphere evaluations on patronage intentions in service-intensive retail stores. Journal of retailing, 79(4), pp.259-268. Heiens, R.A., Pleshko, L.P. and Aldousari, A.A., 2016. Using Direct Observation to Examine the Relationship between Religiosity, Demographics, and Consumption in a Middle Eastern Retail Services Setting. Journal of International Consumer Marketing, 28(4), pp.274-282. Ali, J., Kapoor, S. and Moorthy, J., 2010. Buying behaviour of consumers for food products in an emerging economy. British Food Journal, 112(2), pp.109-124. Kaur, P. and Singh, R., 2007. Uncovering retail shopping motives of Indian youth. Young Consumers, 8(2), pp.128-138. Kaushik, N. (2005), “Retail the next big thing?” The Hindu Business Line, 13 October, available at www.thehindubusinessline.com/catalyst/2005/ 10/13/stories/2005101300240400.htm. Messinger, P.R. and Narasimhan, C., 1997. A model of retail formats based on consumers' economizing on shopping time. Marketing science, 16(1), pp.1-23. Morganosky, M.A. and Cude, B.J., 2000. Consumer response to online grocery shopping. International Journal of Retail & Distribution Management, 28(1), pp.17-26. Naik, K. and Srinivasan, S.R., 2015. An assessment of departmental store service effectiveness using a modified SERVQUAL approach. Journal of Business and Retail Management Research, 9(2). Ramus, K. and Asger Nielsen, N., 2005. Online grocery retailing: what do consumers think?. Internet Research, 15(3), pp.335-352. Rosenbloom, B., 1983. Store image development and the question of congruency. Patronage behavior and retail management, pp.141-149. Shetty, P.S., 2002. Nutrition transition in India. Public health nutrition, 5(1a), pp.175-182. Sinha, P.K. and Banerjee, A., 2004. Store choice behaviour in an evolving market. International Journal of Retail & Distribution Management, 32(10), pp.482-494. "Large-format retail chains expand in Kuwait." Oxford Business Group. N.p., 01 Oct. 2015. <https://www.oxfordbusinessgroup.com/analysis/supersizing-hypermarkets-while-traditional-retailers-remain-popular-larger-format-chains-are>. Terano, R., Yahya, R., Mohamed, Z. and Saimin, S.B., 2014. Consumers’ Shopping Preferences for Retail Format Choice Between Modern and Traditional Retails in Malaysia. Journal of Food Products Marketing, 20(sup1), pp.179-192. The Report: Kuwait (2015), Kuwait Retail Research & Analysis, Oxford Business Group. Woodside, A.G. and Trappey, R.J., 1992. Finding out why customers shop your store and buy your brand: Automatic cognitive processing models of primary choice. Journal of Advertising Research.